Hearing the news that a loved one has unexpectedly died can be one of the worst experiences of your life. The news is even harder when you suspect someone’s negligence played a part in the death. When you believe proper care may have prolonged your loved one’s life, it can be impossible to grieve properly. Unfortunately, negligence and carelessness cause more deaths than you may think. At The Mitchell Law Firm, LLC, our Birmingham wrongful death lawyers are passionate about defending the rights of those who can’t defend themselves. Losing a loved one is devastating under any circumstances, but losing someone in a fatal accident can come as a terrible shock. If you have concerns about the death of your loved one, contact our experienced team of Birmingham wrongful death attorneys to discuss the details of your case over a free initial consultation. Civil law in Alabama provides victims of negligence with a valuable form of recourse – they can file personal injury claims. When an accident leads to a loved one’s death, the surviving family members may be able to file a wrongful death claim to compensate for both material and intangible losses that result. If you believe your loved one lost his or her life due to another person’s negligence, contact a Birmingham wrongful death lawyer at Mitchell Law Firm for a free initial consultation today. What Is Wrongful Death Under Alabama Law? Like most other states, Alabama has specific laws that pertain to wrongful death claims. These laws fall under Section 6-5-410 of the Code of Alabama. The civil laws of Alabama state that wrongful death arises from the “wrongful act, omission, or negligence” of another party. It also supposes that a qualified surviving family member may collect damages in a wrongful death action against a negligent party, on the grounds that the deceased would have had legal grounds for a personal injury claim had he or she lived. The Alabama code also states that a deceased person’s estate may bring a wrongful death claim to court, even in the absence of prosecution, acquittal, or conviction of the negligent party. In other words, you may have a claim against a defendant even if the party does not face any criminal charges. Wrongful death claims differ from criminal actions in two notable ways. First, a wrongful death claim is a matter of civil law, which involves private parties (unless a municipal party played a role in the deceased’s accident). Secondly, the defendant does not face jail time or criminal punishment in a civil action; liability is a matter of damages, payable to the deceased’s estate. Alabama law sets unique time limits for filing a wrongful death action, referred to as a statute of limitations. A deceased’s estate must bring a wrongful death claim to court within two years of the date of the death. Keep in mind, however, that certain factors can reset or change the running clock on the statute of limitations. Consult a wrongful death attorney as soon as possible to protect your right to fair compensation under the law. Failure to file a wrongful death action within the appropriate time could result in an outright dismissal, even if the defendant clearly committed negligence. Alabama’s wrongful death laws differ significantly from other states when it comes to recoverable damages. Most other states allow for compensatory damages to cover funeral expenses, medical bills, and other expenses. 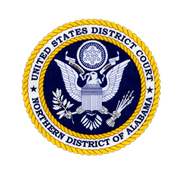 Alabama law, by contrast, focuses on the award of punitive damages. In other words, while many other states focus compensating an estate for the losses associated with a loved one’s death, Alabama law deals primarily with the wrongdoing, or negligence, of the defendant. The Alabama code has two main goals pertaining to wrongful death law: The first goal is to punish the defendant for his or her negligence. The other is to make an example of the defendant and discourage similar behavior in the future, either by the defendant or other parties. Any damages a jury awards in a wrongful death suit go directly to the deceased’s heirs, not the estate. This helps protect the settlement from the decedent’s liabilities and taxes. This makes Alabama unique from other states when it comes to wrongful death law. A confusing statute of limitations. As mentioned earlier, the estate has two years in which to file a claim, but this timeline may change depending on several factors. An attorney can help you determine when to file a claim in court and will expedite the process. Notice of claims against municipal parties. Claims against the government feature a shorter statute of limitations, and they require formal documentation called a “notice of claim” before submitting the claim to court. Failure to follow this step could result in a court dismissal. Failing to appropriately file the claim. Unlike many other states, a decedent’s heirs cannot legally file a claim in court. This responsibility lies solely with the executor of the state under Alabama law. Probate court rules. Since the wrongful death action is the executor’s responsibility, the rules of probate apply throughout the process, which can be confusing to navigate. Distribution of the award. Finally, a wrongful death award passes directly to the decedent’s heirs, not to the person who files the suit. This requires the guidance of an attorney. Wrongful death claims require overcoming certain legal hurdles, and the process may differ depending on the nature of the defendant. Claims against government entities, for example, will vary greatly from a claim against a private party. To avoid these procedural traps, it’s essential to retain the services of an attorney familiar with Alabama wrongful death law. Car accidents continue to be one of the leading causes of wrongful death in Birmingham and the state of Alabama. 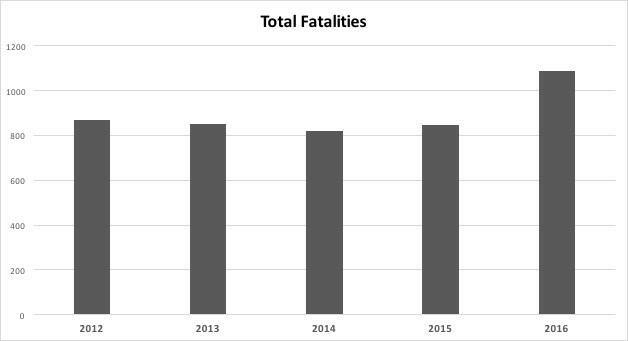 In 2016, accident related fatalities hit a high with 1,089 deaths on Alabama roads. Can one file a wrongful death claim following a homicide? The simple answer is yes, though homicide and wrongful death are two very different legal actions. A homicide, or murder, is a criminal charge in which the actions of one person directly lead to a victim’s death. The definition of murder lies in intent. A person who intentionally terminates the life of another may be guilty of murder. The decision to bring a murder charge against an individual lies with the state. A prosecutor may bring murder charges against the subject, and that subject may face jail time, fines, even the death penalty. This occurs, however, under the realm of criminal law. Wrongful death actions are a matter of civil law. If the person responsible for your loved one’s death faces criminal murder charges, Alabama law allows you to file a wrongful death action on top of those charges. One of the main differences between a criminal proceeding such as a murder trial and a civil action such as wrongful death refers to the “evidentiary standard.” Murder trials require a much stronger threshold of evidence. Prosecutors must provide enough evidence to a jury that all members believe that the defendant is guilty “beyond a reasonable doubt.” Even if one juror is reasonably doubtful that a defendant is guilty, the defendant could walk. Since the evidentiary standard for civil cases is much lower, you may be able to file a claim for wrongful death, even if a murder trial led to a not guilty verdict. Unlike murder, a wrongful death claim does not have to be intentional. In other words, even if a defendant is not guilty of homicide in the eyes of the law, he or she may still be guilty of negligence (and wrongful death). Homicide and wrongful death are two types of legal proceedings, but both center on justice for your loved one. Even if a prosecutor cannot secure a conviction in a criminal proceeding, a wrongful death attorney may be able to secure a judgment or settlement based on wrongful death. Wrongful death actions are legally complex proceedings that require the guidance of an experienced wrongful death attorney. Following the traumatic experience of losing a loved one, you deserve up-to-date information throughout every step of the process and know your right to fair compensation under the law. When you work with Mitchell Law Firm, LLC, your main point of contact throughout the process is lead attorney Michael Mitchell. Our firm strives to provide regular updates to clients about the status of their cases and address any questions as they arise. Unlike many other firms throughout the Birmingham area, we treat clients with the respect and attention they deserve – not as if they were case numbers on a spreadsheet. The Mitchell Law Firm, LLC, has decades of combined experience in personal injury and wrongful death law, which we back with a strong track record of results. Our highest priority is obtaining maximum compensation for our clients and holding negligent parties responsible for their actions. A wrongful death claim can help you gain financial recovery for your immaterial losses under Alabama law. At the Mitchell Law Firm, LLC, we take all our cases on a contingency-fee basis. This means you won’t owe any attorney’s fees unless we win a settlement or court judgment on your behalf. While many of our cases settle out of court, we are ready and willing to fight for your rights in litigation, should it become necessary. If you recently lost a loved one and you believe another person’s negligence was responsible, contact a Birmingham wrongful death attorney at Mitchell Law Firm, LLC. Our commitment is to help you gain financial recovery. Contact us today to arrange a free initial consultation with our firm and learn more about your options under Alabama law.